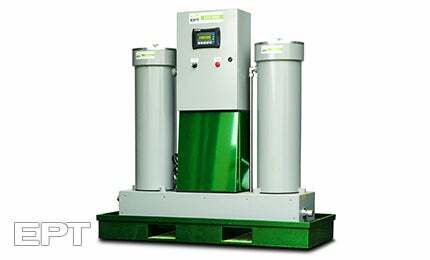 Electrostatic contamination removal (ECR™) systems use electrostatic forces to remove particulate matter that is too small to be removed by conventional filtration. Electrostatic forces are used to remove particulate contamination by mass (not by size); since all particulate has mass, particles smaller than 1 micron can be removed. ECR systems are a specialised product that should be used in precise conditions after ICB filters have first been used to remove dissolved impurities. The combination of ECR and ICB technology is powerful as it offers the ability to control both solid and dissolved contamination in any critical lubricating or hydraulic fluid.